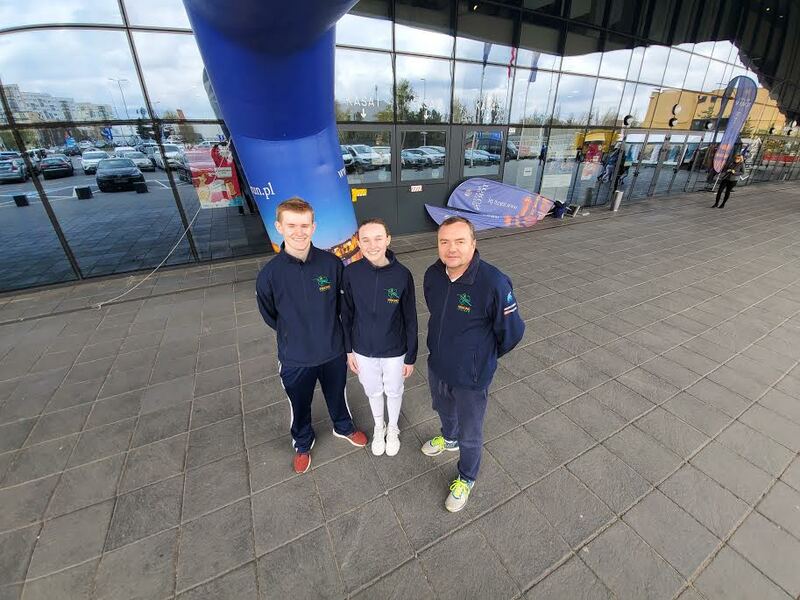 Torun, Pol (April, 2019) - Four Students of Tim Morehouse Fencing Club head to Poland to fence with the best at the 2019 World Fencing Championships. These fencers achieved strong finishes in the Cadet and Junior Categories. Nickoloz Lortkipanidze placed 11th in Cadet Men’s Saber. Jake Mcgillion-Moore placed 56th in Cadet Men’s Foil and 101st in Junior Men’s Foil. Katie Mcgillion-Moore placed 133rd in Junior Women’s Foil and 81st in Cadet Women’s Foil. And Sylvie Binder, a NYAC student of Tim Morehouse Fencing’s Coach Slava, placed 33rd in Junior Women’s Foil.